Based on extensive test and research, here are our top choices for best snorkel gloves on the market in 2019. Considered as one of the most durable snorkeling gloves in the market, the Tilos Reef Gloves are made from a variety of heavy duty materials. Its main material component is a type of synthetic leather called the amara leather which has the ability to retain its form no matter how rigid your activity is. The side of its palm is a combination of amara leather and a thick neoprene rubber which gives you both maximum palm protection when touching sharp objects while giving you an elastic feel. The back side is a combination of amara leather and neoprene mesh which allows water to freely flow in and out of the gloves while acting as a thermal vent courtesy from its micro holes. When it comes to stitching, the palm especially on the thumb part is reinforced with tough stitches since this is the part where most of the hand pressure is applied. When you wear the Tilos Reef Gloves, you will not be having a hard time putting it on since it will easily slide into your hands. This is courtesy from the panel insertion material that is embedded in the internal material of the gloves which creates maximum stretch and comfort. Once you have fully wear the gloves, you can easily secure and hold it in place through its wrist band that has an adjustable hook and loop fastener that will fit any wrist size. This means that it will create a seal regardless if you have a thin or large wrist size. 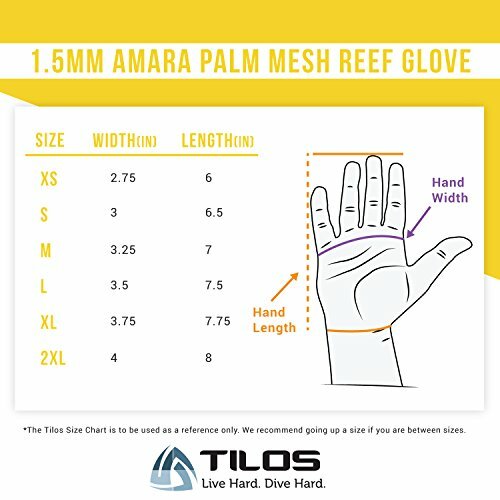 With all these features, the Tilos Reef Gloves is not just the perfect gloves for snorkeling. It can also be used in other aquasports that needs hand protection like kayaking, water skiing, jet skiing, sailing, scuba diving and white water rafting. In fact, many of its users told us that once they wore the gloves, it will create a curved-finger effect which has been proven to prevent hand strain which is further supported by the adjustable velcro wrist band giving you an overall perfect fit. They also claimed that the curved-finger effect also provides reinforcement in the palm and thumb part where they can easily handle objects regardless of texture without putting too much effort. 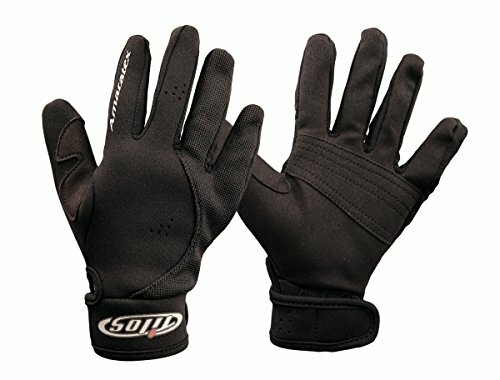 When it comes to glove size, you have to take note that the product size are based on a men’s fit. So, for female users, you have to take note of the size difference where you can opt to select the next smaller size available. One more thing that you should note is the adaptability to water temperature. While it is true that gloves are made and worn to prevent body heat loss, the Tilos Reef Glove is designed for hand protection rather than for thermal heat loss prevention. This glove is suitable for use in the tropics to the subtropical regions, but may not be ideal in temperate areas where the water is generally cold. The BPS Wetsuit Gloves is one of the few snorkeling gloves out in the market that is designed for extended use even in cold water environments. You can choose from 2 types of thickness: the 3 millimeter or the 5 millimeter. Regardless of the thickness size you choose, this pair of gloves is made from a double-lined neoprene rubber which gives you maximum warmth. When it comes to protection, it has a rubberized palm grip that is glued and all sides and seams are fully stitched to withstand rugged use. 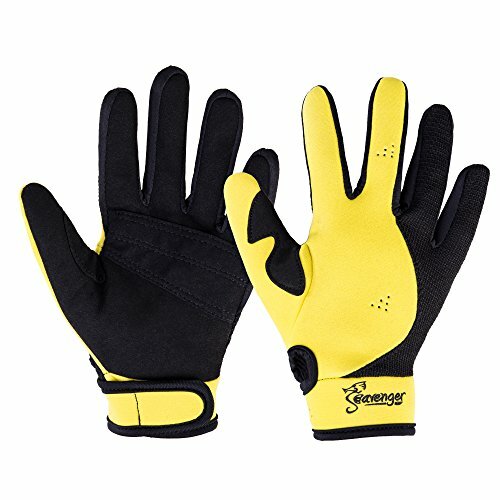 This gloves can easily be worn where the neoprene rubber is trim to naturally slide inside your hands until the very edge of your fingers. Once fully worn, you can easily hold and secure it in place courtesy from its wrist strap embedded with a heavy duty velcro that creates a tight seal regardless of the size of the wrist. In general, the BPS Wetsuit Gloves allows your hands to freely move while providing a mechanism that prevents body heat loss on the extremities while providing you with full hand protection. If you try to look at the palm section of this glove, you will see that it has a textured grip through a pentagon-shaped rubber protrusions. This feature in the palm section will give you extra gripping capabilities especially in handling slippery objects. Aside from snorkeling, the BPS Wetsuit Gloves is ideal for other water sports like swimming, scuba diving, surfing, sailing, kayaking and boating. Many of its users told us about their experience in using this pair of snorkeling gloves. Some have said that the adjustable wrist band is pretty effective in securing the gloves in place and will not give you a feeling as if it will dislodge or come off especially when lifting heavy objects. But what really stands out with this pair of snorkeling gloves is its effectiveness in providing warmth even in near freezing waters. Several have manifested that they had used this gloves in cold water in several occasions and they have not encountered any problem related to hand coldness. Some have even claimed that you can use this gloves even when you are not in the water, like in the snow where one had claimed that he was able to walk his dog on a leash while walking to thick snow. When it comes to sizing, the BPS Wetsuit Gloves are available from extra small to double extra large, so we are pretty sure there is an available size waiting for you. On top of its effectiveness in providing warmth and hand protection, what is good with this pair of gloves is that it comes in different color and pattern designs where you can choose from the typical flat black to the highly fashionable pink floral design. The Neo Sport Premium Wetsuit Gloves features 2 thickness selection: the 3 millimeter or the 5 millimeter version. Regardless of thickness, this snorkeling gloves are made out of premium neoprene material that is soft and highly flexible. Despite its thickness, it has a design that does not interfere with your hands’ dexterity giving you an easy flexing feel. While the gloves’ premium neoprene is pre-cut to fit most hand shapes and sizes, all of its parts, especially the seams, are glued and sewed to withstand rigorous use. 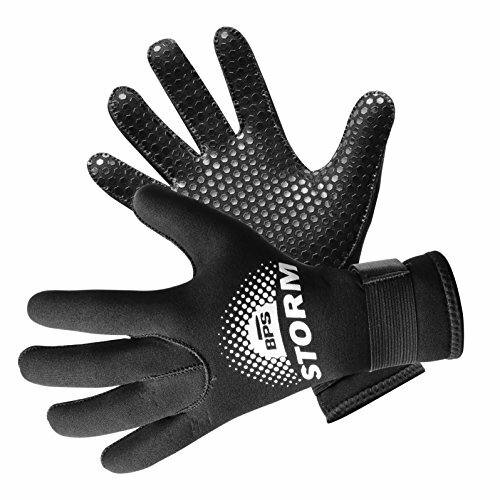 The palm section of this gloves has a high-grip rubber texture with a cyclone design. This feature alone gives you the capability to effectively handle objects even if it is slippery in nature. While it has a thick material and a tight fit, the Neo Sport Premium Wetsuit Gloves can easily be worn courtesy from the streamline design where you will be spared from exerting too much effort in inserting your hands. On top of this, the backend tip of this glove has a gator elastic closure allowing you to fit it over your wetsuit giving maximum warmth and comfort. It has an adjustable wrist strap that is strategically located, not at the tip, but a few inches just before the edge. On top of snorkeling and other aquasports like boating and scuba diving to name a few, the Neo Sport Premium Gloves is also considered an all-purpose gloves where you can use it on other activities. By wearing this pair of gloves, you can clean the rough surfaces of your gutter, wall and other hard surface with the application of water and soap or other detergents. 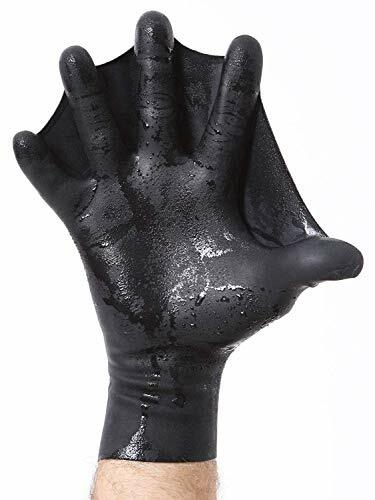 You can even use this glove is cleaning your pond where you can easily gather and grab slimy objects towards your trash bin. You can even clean your aquarium by gently scrubbing the glass using the palm pads of this gloves or easily retrieve or deploy aquarium accessories which is deemed very important when you are into tank decoration. There is even one dexterity test for this pair of gloves where some were able to operate their electronic gadgets with a touchscreen while the gloves are fully worn. The only activities where we do not recommend the use of this gloves are rock climbing and rappelling since this kind of sport requires a total dry grip. 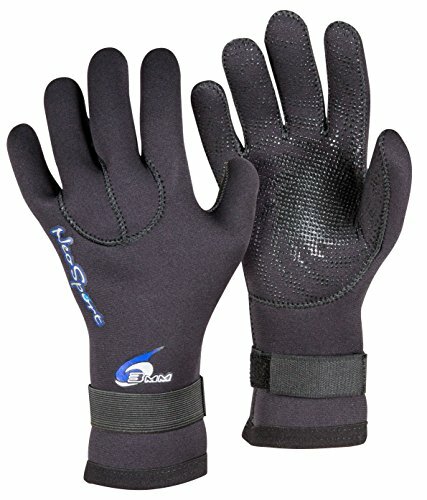 There are a number of inquiries if the Neo Sport Premium Wetsuit Gloves has the capability to keep your hands dry. Well, we would like to inform you that the answer is NO. This pair of gloves is designed to keep your hands warm and not dry. They act as a mechanism that traps heat and prevents rapid body heat loss especially when exploring cold water environment. The Seavenger Abyss Dive Glove is one of the few diving gloves that is designed for safety, durability and mobility. It is primarily made from a combination of high performance neoprene rubber and a synthetic leather called amara which creates an overall thickness of 1.5 millimeters creating optimal warmth to your extremities. The thumb and palm section of the gloves has a durable and reinforced construction that is expected to withstand rugged handling and usage while giving you maximum grip power and endurance. While the palm portion of this glove is tough and rigid, the top side has a neoprene mesh that is soft, flexible and stretches easily as you move your fingers. Donning the Seavenger Abyss Dive Glove is very easy and requires minimal effort without the need to struggle. This is brought to you by the lycra panel insertion that is embedded in the internal material of this glove. Once you slip your hands, it slides all the way up to the fingertips with just a single pull. Once you have fully worn the gloves, you can easily secure it in place via its adjustable wrist band that is further secured with a high performance velcro system. Base on reviews, you can see that there are several inquiries about the Seavenger Abyss Dive Glove, where one of which, is if it is capable of keeping your hands completely dry while underwater. We would like to inform you that it does not have that capability and its protection against being wet on the inside is just like to a wetsuit. You are still wet on the inside, but what is more important is that your body heat is trapped thereby preventing you from coldness. Another inquiry, which we find it pretty silly, is that can the gloves protect you from an accidental piercing of a fish hook. If we were to answer the question, then our answer is yes, but only when you are accidentally pierced on the palm portion and the most likely that a fish hook can pierce is at the finger portion where it is not reinforced with the amara leather. But nevertheless, the chances of having your fingers accidentally pierce with a fish hook is one in a million, if not, in a billion. When it comes to providing warmth and hand protection, the DarkFin Webbed Power Swimming Gloves may not be your best choice. But if you are looking for a pair of gloves that aides you in moving underwater, then this is the gloves for you. It is made from a lightweight latex material that is non-absorbent and fits just right into the contours of your hand. The material is molded using a 3-dimensional hand with a rear web design that is projected to increase your underwater speed by 70 percent. It has no stitches, no seams, no glued edges and no straps. In short, each glove is molded into one single piece. On top of the latex material, it is embedded with a cotton flock that provides you with a hard grip when handling objects even if it is slippery.